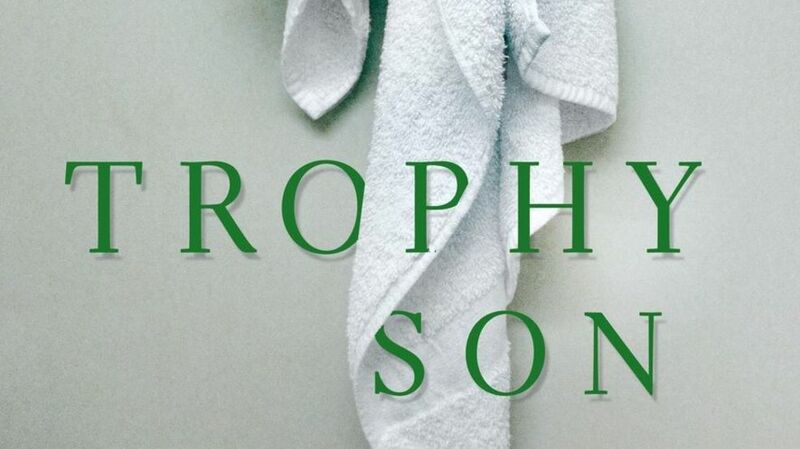 Elegantly written, reasonably informed, “Trophy Son” is a highly enjoyable tennis novel, an engaging literary exploration. Make that clear: Do not expect a novel to provide the same degree of data-rich accuracy (whatever that means) of a journalistic account. Fiction takes a different path; yes, informed by some degree of investigation, but perhaps, even more, the novelist’s gift of imagination in pursuit of a truth that at its best will transcend the factual. But the father-son relationship is just one aspect. Brunt nicely captures much of the tennis scene, from the extensive practice sessions to the isolation of competing in an individual sport to the pervasive jerks and the off-court perks, including a pleasing love interest. There is also a lucid, seamless explanation of why a player like Anton would take performance-enhancing drugs – and the fallout. And as you might expect from a novelist, there are certain aesthetic flights of fancy. Micro-managed as Anton he is, his parents encourage him to engage in an activity rarely seen among professional tennis players: reading, in this case such serious authors as Charles Dickens, Milan Kundera and Philip Roth. “Trophy Son” also fits in nicely with a popular form of 21st century tennis literature: the tale of the world-weary. This is a relatively new genre. Consider past approaches. There was the anthropology of excellence, narrative accounts celebrating greatness, be it such works as “Levels of the Game” by John McPhee, “Inside Tennis” by Peter Bodo, “Strokes of Genius” by Jon Wertheim, and “The Greatest Tennis Matches of All Time” by Steve Flink. Written in third-person, these books were observational and largely reverential. Their parallel was the insider account of the merry marauders, the rich and hearty tennis life chronicled by such players as Gordon Forbes in “A Handful of Summers,” Marty Riessen (and traveling journalist Richard Evans) in “Match Point” and Arthur Ashe (with another journalistic insider, Frank Deford) in “Portrait in Motion.” Also toss into that mix a novel, “World Class,” written in 1975 by a the Boyars, a husband-wife duo that weren’t players, but were given tremendous access to the sport at a time when it was smaller and cozier. Even amid tough losses, these two genres revealed the wonder, joy and delight taken by flocks of globe-trotting individuals. But starting in 1991, with the publication of John Feinstein’s year-in-the-life book, “Hard Courts,” a new paradigm emerged: Tennis could be toxic. The stage parent was more than ambitious, but downright dangerous. Travel wasn’t fun. It was draining. Rewards such as money and fame were fraught with mostly negative implications. And the game, the game; well, it was no longer a soulful craft, but a soulless business. Where once it was easy for writers like McPhee, Bodo and Evans to get access to the game’s very best, the game had grown such by then that it was difficult for Feinstein. But he persisted, and also spent hour upon hour with lower-ranked players who offered tremendous insights into the way tennis had robbed them of youth, damaged their bodies, wounded their hearts and minds. No longer was the tennis player a decorated veteran who’d fought the good fight and saved democracy. He was a POW, staggering home from an unpopular war fought in a strange and distant jungle. A decade later, in 2002, a jaded McEnroe addressed all his ambivalence in his autobiography, “You Cannot Be Serious.” Seven years later came a masterwork of a love-hate relationship to the game, Andre Agassi’s “Open.” And so, the new template for a tennis book: The game is hard. Very hard. The life is even harder. Tennis can devour your soul. As “Trophy Son” delicately reveals, it best be saved by any means necessary.